There are a lot of extraordinary people and organizations dedicated to protecting the safety and legal rights of Americans. Of course, our brave clients who decide to stand up for their rights are the first line of defense in holding corporations and powerful special interests accountable. Then there are those legislators and public servants throughout the nation who hold strong for consumer rights and protections. We highlight several national organizations that have stood unfailingly for civil rights and safety for all of us regardless of party or politics. Check them out! The Consumer Federation of America is an association of non-profit consumer organizations that was established in 1968 to advance the consumer interest through research, advocacy and education. Nearly 300 diverse state and national advocacy groups participate in the federation and govern it through their representatives on the organization’s Board of Directors. Founded by Paul Steiger, former managing editor of the Wall Street Journal, ProPublica is an independent non-profit newsroom that produces investigative journalism in the public interest. These investigations shine a light on exploitation and work to create positive change. 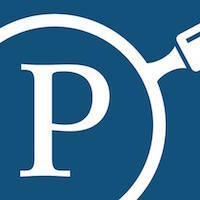 ProPublica is a nonpartisan organization that works to adhere to strict standards of journalistic impartiality. It does not ally with any politicians or advocacy groups in order to provide an unbiased look at businesses, government, unions, education systems, healthcare organizations and the media. The Leapfrog Group is a national nonprofit organization focused on improving the quality and safety of American health care. Its Leapfrog Hospital Survey program collects and transparently reports hospital performance, empowering purchasers to find the highest-value care and giving consumers the life-saving information they need to make informed decisions. The Leapfrog Hospital Safety Grade, Leapfrog’s other main initiative, assigns letter grades to hospitals based on their record of patient safety, helping consumers protect themselves and their families from errors, injuries, accidents and infections.